Fabulous, well located and elevated block with existing 3 bedroom residence set on a corner allotment of approx. 2750 m2. Planning Permit has been approved for a 2 lot subdivision. The existing residence is a quirky part solid brick with a brick barrel vaulted section and external brick abutments. Currently set up as a private 3 bedroom residence on the permanent rental market this building was once used as the Gun Powder Magazine during the gold mining days. This presents a great opportunity for a spectacular renovation exposing and highlighting the unique features of the building. 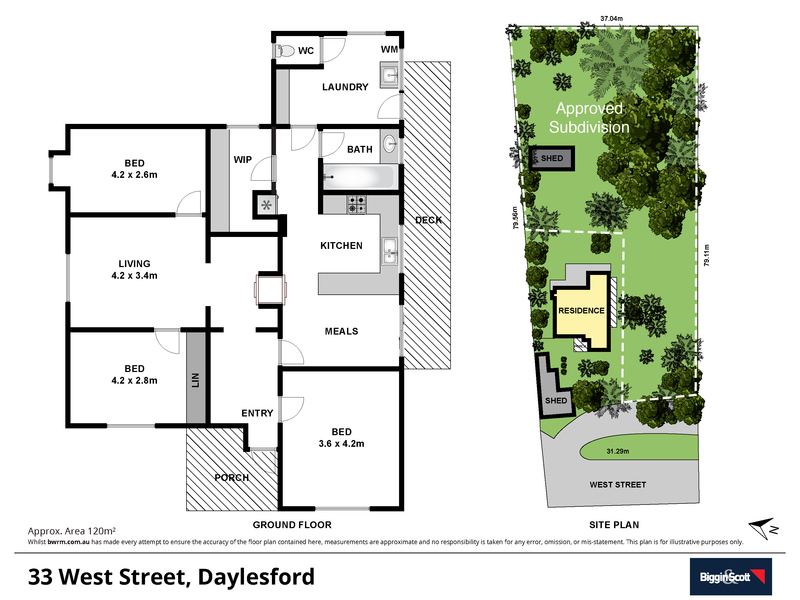 Lot 2 of the approved subdivision is a 2111m2 block which present beautifully as a residential building block or [STCA] further subdivide or build a multi-unit development. The possibilities here are boundless for the astute developer or investor. Inspection by scheduled open or by private appointment.